Former Uber CEO Travis Kalanick leaves the Philip Burton Federal Building after testifying on day two of the trial between Waymo and Uber Technologies on Tuesday, Feb. 6, 2018, in San Francisco, California. Waymo, an autonomous car subsidiary owned by Google's parent company Alphabet, has accused Uber of theft of trade secrets relating to its self-driving vehicle development. Waymo alledges one of its former employees, Anthony Levandowski, illegally downloaded 14,000 confidential documents before leaving to start his own self-driving car company, Otto, which was acquired shortly thereafter by Uber for a reported $680 million. Former Uber CEO Travis Kalanick took the witness stand Tuesday, offering his initial response to allegations that he cooked up a scheme to steal self-driving car technology from Google. Kalanick's testimony centered on his dealings with Anthony Levandowski, a former star engineer at Google who left its robotic-vehicle project in January 2016. Levandowski subsequently launched a robotic-truck startup called Otto that Uber bought a few months later for $680 million. Waymo, a spinoff company that inherited Google's autonomous car project, sued Uber almost a year ago, charging it with the theft of Google technology. Among other things, Waymo alleges that Kalanick and Levandowski conspired to use Otto as a storehouse of Google's trade secrets in order to give them to Uber. Kalanick sought to dispel those accusations while frequently sipping from a bottle of water during Waymo's 45-minute grilling at the end of Tuesday's session. Kalanick acknowledged meeting Levandowski several times before he quit Google, saying they discussed ways to improve Uber's own self-driving cars. He called one meeting a "jam session," a reference to the way musicians riff off each other in search of a great sound. Notes taken from some of those meetings said Kalanick expressed his desire for a "pound of flesh" and "all their data" for Uber, without providing more specifics. Kalanick testified that he couldn't recall using those specific words, but said it was possible he did. Kalanick described his talks with Levandowski as a strategic business decision, saying Uber needed Levandowski's expertise to develop autonomous technology that could replace its human drivers. 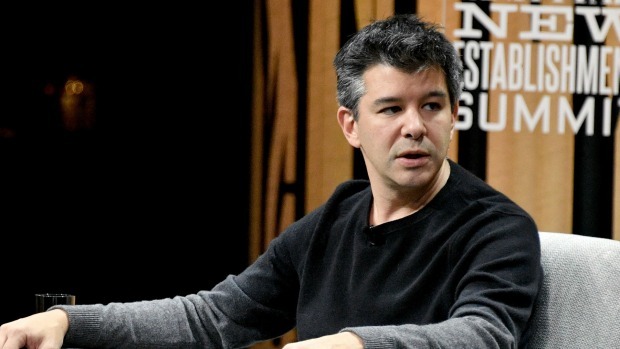 "I wanted to hire Anthony and he wanted to start a company," Kalanick said. "I started to come up with a situation where he could feel like he started a company and I could feel like I hired him." Kalanick will resume testifying on Wednesday. By the time of Kalanick began wooing Levandowski, the once-cordial relationship between Uber and Google was souring. Google was an early investor in Uber, but the companies started to drift apart as it became clear that Google was interested in the ride-hailing market while Uber intended to build self-driving cars. Kalanick has become one of the most polarizing figures in Silicon Valley during the past year. During the final months of Kalanick's eight-year reign as CEO, Uber acknowledged rampant sexual harassment within its ranks, a yearlong cover-up of a major computer break-in and a $100,000 ransom paid to the hackers, and the use of duplicitous software to thwart government regulators. An outcry about Uber's toxic behavior prompted the company's investors to pressure Kalanick to resign last June. 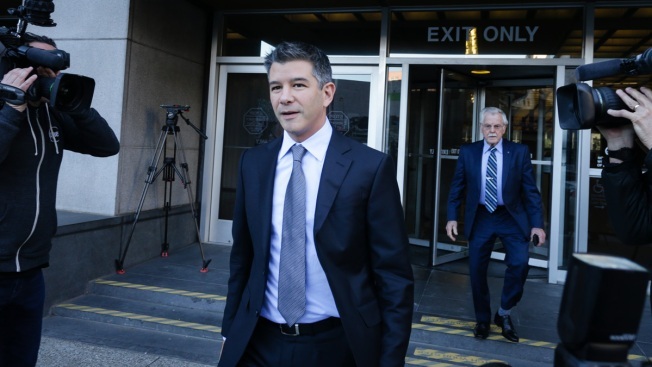 Much of Tuesday's questioning seemed to be setting the stage for heightened drama when Kalanick returns to the stand Wednesday. Among other things, Kalanick is likely to be asked about pre-trial evidence that he knew Levandowski possessed five computer disks with data taken from Google . Kalanick previously said he told Levandowski that he didn't want that information inside Uber, according to documents filed by Uber. Levandowski subsequently destroyed the disks, according to Uber, though a firm hired to analyze the risk of buying Otto didn't find concrete evidence of that disposal. Levandowski has declined to answer questions, citing his constitutional right against self-incrimination — one reason Uber fired him as the head of its self-driving car division last May. He is expected to stick to his Fifth Amendment rights if he is called to testify during the trial.